We are excited to be hosting a Show and Tell event in Wrocław on October 17th. This event is about exchanging ideas. To participate, please bring an article or blog post on a technology that is of interest to you as a discussion piece. 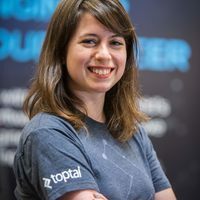 This is a great opportunity to share ideas and meet fellow Toptalers, including Asia Lindsay, Toptal’s Europe Community Lead, who will answer any questions you have about working for Toptal.